If you want to grow to your ultimate level of leadership, this is going to be the most inspiring and thought provoking leadership training you’ll ever have. Early birds reviewed our work incl. First-Class Leadership with an average score of 4,6 out 5 or higher on Springest, Amazon, Good Reads, and Google Books. Please understand that our results are not typical. We are not implying that you will replicate them (or anything of the sort). Your results will vary and depend on many factors …including but not limited to your mastery of leadership qualities, principles, and attitudes as outlined in this training. It is impossible to grow to the next level overnight. All business entails certain risks as well as massive and consistent effort and action. If you’re not willing to accept this, please DO NOT APPLY FOR THIS TRAINING. First of all, this isn’t like any other leadership training you have ever had before. It doesn’t contain any fluff or filler – just battle-tested timeless principles and strategies that have worked over and over again and are highly effective. On top of that, the training is easy to follow, interactive and delivered with real life examples! It includes small teamwork to make the material stick. That’s because you can use the same algorithms learned during this training to grow all kinds of businesses to the next level. 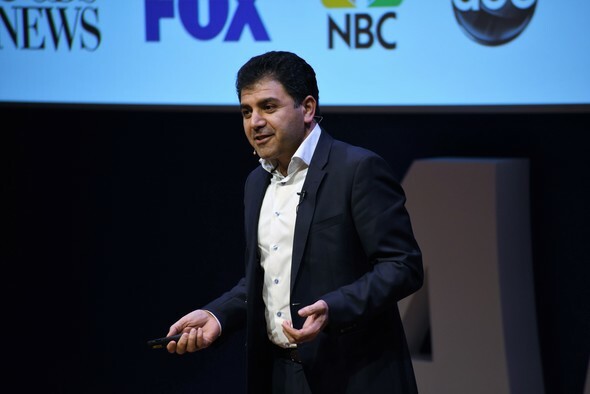 For example, Hamid Safaei has used the same algorithms to connect and work with world leaders and Global Fortune 500 CEOs. Hamid taught the strategies covered in this training to the board members of an international energy company recently to turn things around. They said: “From worrying about sales, we are having to worry about making sure we can deliver on time, because demand has gone up so much”. The third will uncover the art of Attracting, Developing, and Retaining highly effective team members, your ultimate ticket to multiply your results. 9 premium leadership qualities that help you make a name for yourself…no matter who you are or what your background is: black, white, religious, atheist, rich or poor, none of this matters. What does matter is that you have the right key to open certain doors. The trainer gives countless examples of people from all walks of life and from different cultures to show that you can do it as well. Join and learn what qualities you need to master and how you can become one of the top 0.1% of leaders who are remembered forever. Can you really make your breakthrough by applying just one quality? Even if you’ve failed your whole life?Apply for this training to get your answer. “I’m busy”is what almost everybody says these days. Find out why and, more importantly, what you can do to stop feeling busy all the time. What is the one quality that everyone needs to master in today’s spontaneous rapidly changing snap-chat world? Join this training to find out why and how you can implement the algorithm of making fast calls. The attitudethat helped the likes of Albert Einstein, Mahatma Gandhi, Steve Jobs, and Bill Gates write history. Who doesn’t want to know this? What does Lead By Example really mean and why does it matter? What is the Ultimate Currency in Leadership and why are some leaders psychologically broke? Do you want to know what risks are worth taking? The training unlocks the battle-tested algorithm of risk-taking. Do you know the principle that defines how you make your next move? 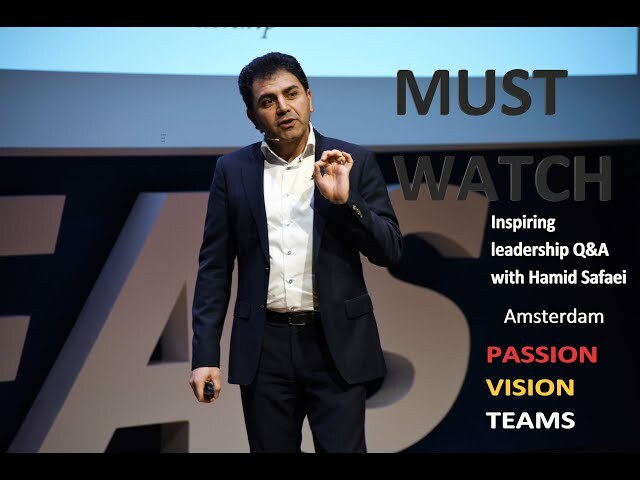 Let Hamid share with you how the greatest leaders on earth position their inner GPS. Do you want to know why confidence is the pre-requisite for leadership? How do you know you’re doing what you love to do? How can you find your passion? What if you don’t love what you do? Join us to find out. Not many managers succeed in real delegation and the majority struggle to put the right processes in place and end up busier than ever. What if the trainer shared with you the algorithm of delegation? We all want to rapidly grow our businesses. Right? What are the secrets of multibillion companies that started in a basement 10 years ago? We will share the secrets with you in part three. Whydo many companies spend a fortune to attract top talents only to watch them walk away when they are about to pay off? Who doesn’t want to avoid this? What are the most important questionsyou have to ask your future colleagues? Why are many recruitment questions irrelevant? Whatdo highly effective team members have in common? Join us to find out. There’s a proven strategy to get prospective employees to really want to work for you. Forget the usual “recruitment stuff”. This simple approach works much better and makes you look like an authority. Do you want to know which one is it? You need to act like a magnet attracting management trainees picked from the most reputable universities to be ahead of the competition, right? Wrong! The ‘usual stuff’ everybody does when it comes to attracting real talent, is a waste of time, energy, and money. The Bluetooth generation cares about different things.Let Hamid share a different approach that’s faster, simpler to implement, and quite frankly better with a lasting effect. Don’t be like many leaders who attract their top talent with flashy onboarding announcements in the media, only to hire attorneys to get rid of their talents shortly afterwards. How can you avoid this? If you knew why an unusual number of billionaires are college dropouts, you’d get a sense of what really matterswhen it comes to onboarding new employees. Find out why great leaders don’t tell their bright people what to do and how to do it. The truth about highly effective teams and how you can build them. You’re right … these battle-tested strategies and algorithms are in fact all you need to make it to your next level, but they are really just the tip of the iceberg. That’s why Hamid has learned how smart industry leaders make their toughest decisions in a fraction of a second. They know even before they are halfway through listening to a proposition if it is going to be a yes or no. And guess what, they say NO in over 80% of cases. That’s why they’re so ridiculously successful. Hamid spent 5000 hours penning First-Class Leadership to develop the simplest and yet most effective algorithms for leaders. All you need to do is follow the manual shared in this training. When you apply the tools and techniques delivered in this training, two things will happen. THE TWO TIMES international bestselling author of leadership books has designed this training using a combination of two decades of work experience with senior leaders, advanced NLP strategies, real life personal coaching with leaders and simplifying the timeless models that have been used by greatest leaders on earth. Whether you hate or like it, Hamid Safaei the only person who delivers First-Class Leadership training as outlined in this module. And so, the traditional rule applies here: First-in, first-served! Honestly, how often have you had a one-on-one session, 90 minutes long, with an international bestseller? Just imagine you get the chance to have a one-on-one (digital) session with the trainer of First-Class Leadership with his international track record. You can ask him privately whatever you want either personal or business related. During this session, Hamid will walk you through the most important algorithms the greatest leaders on earth apply on a daily basis. And you can ask him whatever you want. Hamid will give you proof for any algorithm he will discuss with you. Hamid will even tell you exactly which algorithms helped him in his work with senior leaders and to get to where he is today. And there is no charge for this. Hamid wants you to have this as his gift for joining this training. As you understand it is impossible for the trainer to give everyone a one-on-one session of 90 minutes long. Therefore the session will only be given to the first 20 early birds who apply for this training each year. Thanks for taking the time to read this letter and we look forward to welcoming you soon!